So I’ve been working on a bunch of new apps and would love to get some feedback as they get released. Allows you to select one or more shapes and change their depth at the same time. 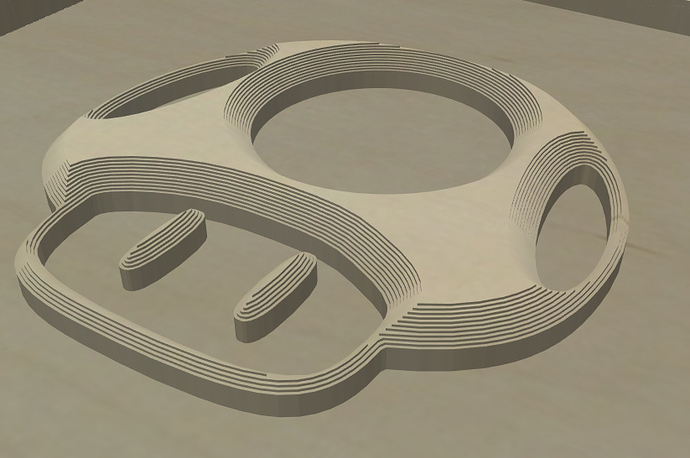 Sometimes you want to move several shapes up or down in your project without selecting each shape individually. This app allows you to do that. Allows you to create a series of overlapping rectangles in order to simulate a slope. You can adjust the length, width, height, and number of steps in the slope. You can also use bezier parameters to control how the slope changes. Similar to above, only you can create a cone. Select any path in your project (open path or closed shape) to start. Then in the app you can select any google web font you want to display on the path and change variables such as direction, baseline, font size, rotate along path, start and stop percents along path. Working on the ability to upload and use your own font (true type or open type only). Will explode a shape into all its sub components regardless of overlap. Will upload animation of how this works. Allows you to extract a sub path from an open path or closed path. Useful in that you can get a path from a shape without having to use the overlapping shape method. Allows you to choose start point (top, bottom, left, right) and the start / end percentage of the sub path you want to extract. I’ve submitted the apps to inventables development team for review. So hopefully you’ll see them in the next few weeks. It’s been fun developing these apps. Does anyone have any apps they’d like to see? Similar to the offseter app, but specifically for thickening lines or paths in a shape by a specific amount. Ability to create a texture within a specific shape. It would be nice too see these apps in Easel. Thank you for developing these and I hope Inventables approves these. Thats what I really like about Easel, the different apps. Keep up the good work, a lot of us appreciate it!!! Would love to see the texture app. I agree with @JohnShack that an app for texture would be great. These are great, thanks for the hard work! I agreed, textures would be a big plus. Bezier Slope Generator, Bezier Cone Generator, Shape Exploder, and Depth Changer have all been released. Extract SubPath has a few issue’s I’m working out. Text on Path is on hold for now. Some unforeseen issues. I’ve also submitted and “Equal Spacing” app for review. Hope to see that live soon. Let me know if there are other apps you’d like to see! If i get some time later i will try a couple of them out. Keep up the good work and thanks. Just saw and used the Bezier slope generator today. It’s nice. I don’t possess the programming chops to do have developed this as you’ve done, but I did suggest it last summer. THANKS for bringing it to the masses. I am in the middle of a project right now and was wondering how I could sand my box lid on my disk sander to give me a slope. I was thinking of making a jig or something. BOOM, I found your slope app…exactly what I wanted months ago and exactly what I needed today!! 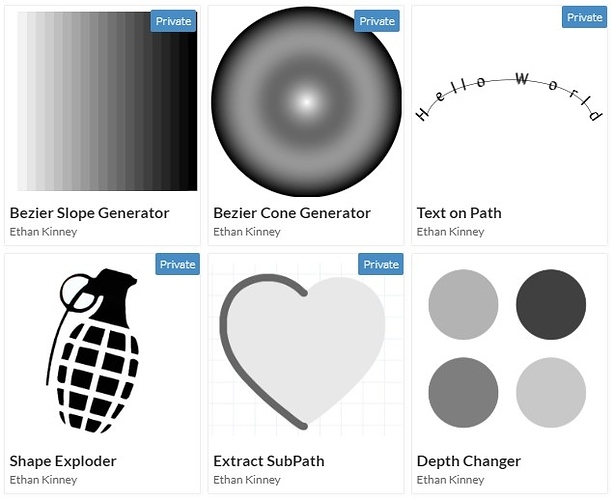 @EthanKinney - just curious how the texture app is coming along? 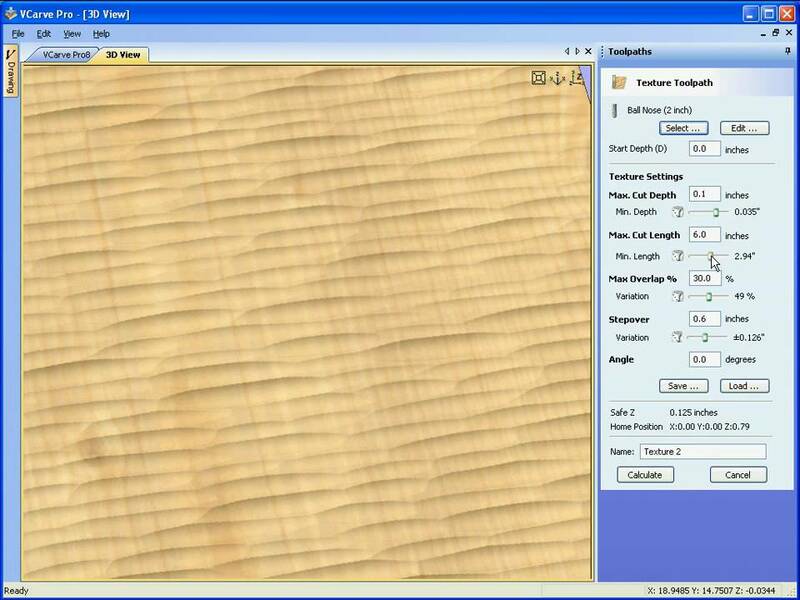 Also wondering if the app will be able to create wood grain or ‘random’ patterns similar to this? I submitted the app to inventables development for approval a few weeks back. So whenever they get to reviewing it. It’s not quite like the wood grain texture app for vcarve. It’s more of a pattern fill. I put out a post about it a while back. Take a look and let me know what you think. Glad it was useful! I probably saw your post a while back asking for it and thought it would be a fun challenge. Let me know if there is anything else you would like to see. So you mean a gradient along the edge of a shape? I could certainly develop an app like that if there is interest. as I am starting to use my machine on guitar bodies and for years I have been doing edge shaping and bevels by hand . I have used both of the Bezier units and they work ok , but they cannot be modified in shape , that I have found yet anyway.